Rampion is working closely with Southern Water to remove their redundant twin outfall pipe, located in the vicinity of the wind farm’s offshore export cables. Through discussion with Southern Water, Rampion has agreed to remove the entire outfall, safely cap this off and then reinstate the beach. The removal of this outfall will help improve the local beach environment and will remove a disused structure. These works are potentially dangerous to beachgoers and sea users who are urged to observe this safety notice. This Notice is to alert all surfers, kite surfers, paddle boarders, canoeists, kayakers, sailors, jet skiers, speed boaters, shrimpers, swimmers, walkers and other beach and sea users of hazards associated with Rampion construction works both on and near the beach during May and June 2018. Safety is our priority and with this work being on the beach and near to shore, all surfers, kite surfers, paddle boarders, canoeists, kayakers, sailors, jet skiers, speed boaters, shrimpers, swimmers, walkers and others are advised to stay clear and not enter the Advisory Exclusion Area for the duration of the works. 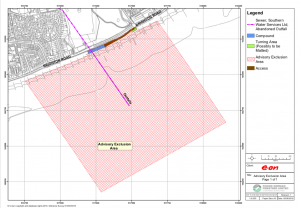 The location of the outfall is from Lancing Beach to approximately 400 metres (m) offshore. The southern end of the structure is below Mean High Water level and only visible during low spring tide periods. 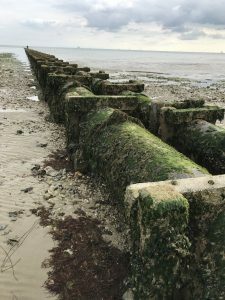 The works will involve removal of two redundant outfall pipes, including their concrete pile supports and cross beams, and around 100 older wooden pile supports. Any loose sections that have fallen away from the structure will be removed, and any concrete piling that snaps during removal will be cleared to a minimum sub bed depth of 2m. Holes created by extraction of the piles will be backfilled during works and as pile removals proceed. The outfall pipe will also be capped and sealed 2m beneath the beach gradient level and the beach will then be reinstated to its original level. 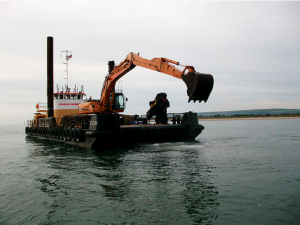 Offshore: The Stour will support a long arm excavator to lift the outfall pipes and concrete supports. Onshore: There will be a cordoned off beach compound for machinery and some of the recovered elements. This will be staffed 24/7 by a security guard. A separate turning area at the top of the beach will be put in place to allow vehicles to enter and leave site without impacting the local road network and establishing an access between the compound and turning area. Traffic: The aim is to reduce and control the volume of traffic. All major movements to and from site for heavy plant and materials will be restricted to off-peak hours in the evening. There will be no parking or loading / unloading of vehicles on the public highway. The main route to the site for construction vehicles will be from the A27, southwest down the A2025 onto the A259. The route from the site will be on the A259 heading west to the A24 to avoid the need for HGVs to cross the A259. There will be no vehicles using residential roads. The workforce will park at the Rampion Brooklands site and walk across the road. Noise: All engines will be in line with noise regulations and will be switched off when not in use. This includes generators and plant machinery. Anchors or anchor wires / chains. Cross the line of the outfall pipes where the work will be conducted and where machinery will be moving. There will be marshalls present supplied who will direct the public up the beach and behind the compound area. 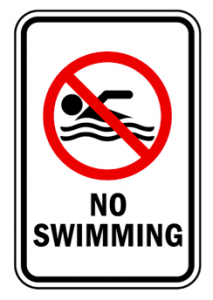 If it is safe to do so they will be accompanied across line of the outfall once that section has been removed. The Rampion team is grateful for the cooperation of all sea users and beachgoers.